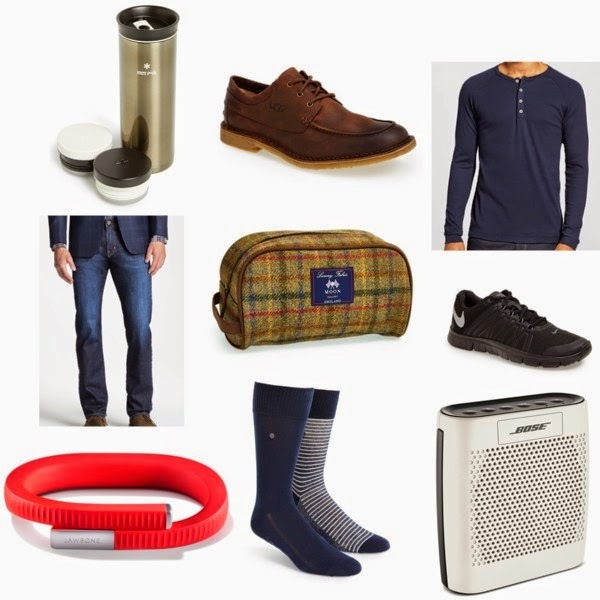 Today I have teamed up with Nordstrom to share a Mens's gift guide. Nordstrom is my favorite store to shop for myself but it is also my favorite store to shop for Matt. Whether its new clothes for work, casual clothes, cologne, or fun gadgets I always can find them at Nordstrom. When I buy Matt gifts I usually try to but him things that I know he wants but that he won't buy for himself. Like socks or new running shoes. Or I like to buy him fun gadgets. LIke this fitness band or Bose speaker. Whatever it is I am looking for I know that I will be able to find something creative at Nordstrom. And I love that they have free shipping and free returns. Thanks for stopping buy! Have a great day. Nice picks! Sometime it's hard to find something different for a guy. Great picks! My fiancé would love those Ugg shoes.